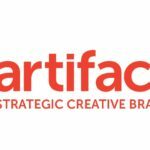 Artifact Advertising walked away with three gold, one silver and a bronze award at the 2017 New Generation Awards in Montecasino, Johannesburg, for its client the Lufthansa Group. 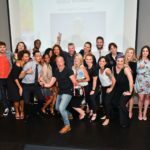 Founded in 2012, the New Generation Social & Digital Media Awards honours South African creative agency teams for their innovative use of social and digital media, and cutting-edge use of online media and tools. To increase awareness, Artifact Advertising proposed a novel solution: A 360° app for travel agents that takes them around the world by combining the use of Virtual Reality and Google Street View to show users the possible locations within the Lufthansa Group network. Guesstinations was born; a quiz-type game that begins fairly easily in places like Paris, but progresses through several increasingly difficult levels incorporating 60 destinations from across their network for both airline brands operating out of South Africa; Lufthansa German Airlines and Swiss International Air Lines. When travel agents ‘land’ in a destination, there is a full 360° view of their surroundings, with interesting landmarks included, and agents have to guess where they are each time. The game incentivized travel agents through free flights and other prizes, creating a scoreboard along the way to encourage competition among users.